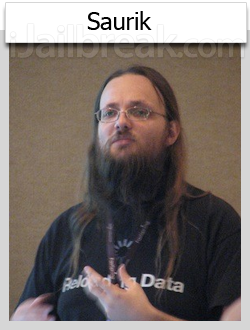 Description: When you think of Jailbreaking you think of Saurik. 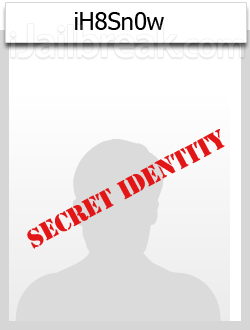 The developer and hacker Saurik, also known as Jay Freeman (his real name), has been responsible for the development of Cydia, which is an application that allows Jailbreakers to download tweaks and themes for their iPhone, iPod Touch and iPad. Saurik has also played helping hand in developing Untethered Jailbreaks for a variety of devices and firmware versions. 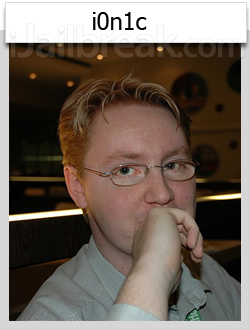 Saurik really has carried the Jailbreaking community along and has made it stronger. A Ted talk carried out by Jay Freeman (aka Saurik – the creator of Cydia) at an event called TEDxAmericanRiviera. The whole idea of his ted talk, was to compare the idea of jailbreaking your Apple iDevice to the mentality of how people like to customize their cars and other personal belongings. He was trying to get across the point that Apple’s App Store and Cydia are two completely different things. Unlike the App Store, Cydia contains very few apps; but rather tweaks and system modifications to customize how your iDevice functions. In my opinion his speech was very well carried out, and if have a spare 13 minutes, you should check it out! Description: MuscleNerd, to many, has been known as one of the original developers since Jailbreaking was first released back in 2001. 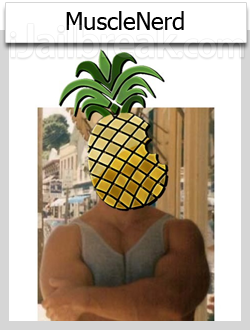 MuscleNerd is a hacker who likes to hide his true identity, and currently his real name or even a picture of himself is not available to the public. Some of MuscleNerd’s most notable achievements include being one of the found members of the iPhone Dev-Team and also one of the main developers behind RedSn0w, PwnageTool and UltraSn0w. Description: The hacker Comex, who’s real name is Nicholas Allegra, has been featured in Forbes magazine and numerous other news outlets. 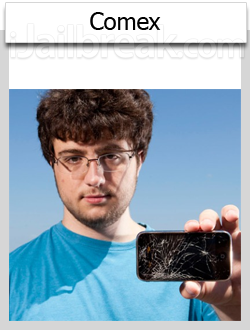 The reason being for his work on JailbreakMe 2.0 (Star) and JailbreakMe 3.0 (Saffron), which were Untethered Jailbreaking solutions for the iPhone, iPod Touch and iPad. Comex has played a very large part in the Jailbreaking community and was recently offered an internship at Apple that has halted any future Jailbreak development work for the time being. A very interesting article from Forbes magazine surfaced today on everyone’s favorite hacker – Comex. If you have been following Comex over the last couple years on Twitter you would realize that he keeps a very low profile. He is careful not to reveal his actual name or identity; masking himself behind the alias Comex. That is until he sat down with Forbes magazine earlier this week. Hacking feels like editing an English paper. You just go through and look for errors. I don’t know why I seem to be so effective at it. I enjoy the challenge. Though this brief article on Allegra does not go into too much detail on Allegra’s personal life it is nice to finally be able to put a face to a name. 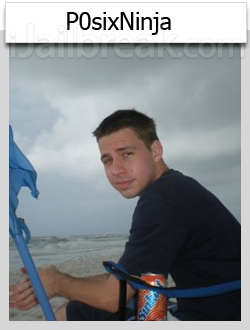 Description: The hacker P0sixNinja, who’s real name is Joshua Hill, is responsible for GreenPois0n and more recently the Chronic-Dev Crash Reporter. P0sixninja is also one of the head members of Chronic-Dev, which has developed a variety of software and exploits for the Jailbreaking community. It is no question that P0sixninja has played an extremely large part in the development of Jailbreaks and has helped find numerous exploits, as well as exploit finding tools. Yesterday @P0sixNinja mentioned that that he was featured on BBC News for the Chronic-Dev’s work on the Chronic-Dev Crash Reporter Tool that we talked about a few weeks ago. In this report by the BBC they talk about what exactly it is that P0sixNinja and his team are up to, what they hope to accomplish with the Chronic-Dev Crash Reporter Tool, and some possible things that could come out of it. If you have some time to check out the article I strongly suggest reading through it; it is a very interesting read. It is great to see that Jailbreaking in general is starting to get more and more media attention. Hopefully if more people understand what Jailbreaking really is, it can help break some of the negative stigmas that a lot of people seem to associate Jailbreaking with. Only moments ago hacker P0sixninja tweeted that he is no longer associated with the Chronic Dev-Team. At this time it is not known why P0sixninja has left Chronic Dev-Team. It could be due to drama within the hacking circle, simply wanting to move on from the Jailbreaking scene or a different reason completely. Quickly after his tweet about not being associated with the Chronic Dev-Team he mentioned that hopefully now everyone sees it was never about the money earned from donations when major Jailbreaks are released. For those of you that were not aware the various developers of Jailbreaks often receive a lot of money when new Jailbreaks are released. As mentioned previously the money comes from donations and often is hundreds of thousands of dollars; which hacker @i0n1c often publicizes as the reason why hackers actually stick around in the Jailbreaking community. With P0sixninja’s departure from the Chronic Dev-Team it is not known whether this means he is leaving the Jailbreaking scene completely like hacker @comex did, or if he is simply going solo. 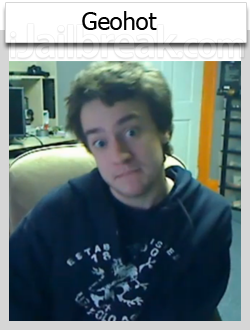 Whatever P0sixninja’s plans are however, we wish him the best with his future endeavours. Description: The hacker Pod2G came into popularity in 2011 and is a French hacker who developed the first iOS 5.0.1 Untethered Jailbreak. Pod2G’s iOS 5.0.1 Untethered Jailbreak exploit can be found in RedSn0w 0.9.10b3, PwnageTool 5.0.1 and Corona 5.0.1 Untether. Currently Pod2G is focusing his work on developing an A5 exploit to Jailbreak the iPhone 4S and iPad 2 Untethered. Description: The hacker i0n1c, also known as Stefan Esser (his real name), is a German security researcher that developed an iOS 4.3.x Untethered Jailbreak exploit. Once this Untethered exploit was finalized, i0n1c handed it over to the iPhone Dev-Team to release it in one of their Jailbreaking tools. Since the time i0n1c developed this Untethered Jailbreak exploit he has been very popular on Twitter, and it has been recently rumored he may have an iOS 5.1 Untethered Exploit. Description: The young Canadian hacker iH8Sn0w has been responsible for several Jailbreaking related tools, the most popular being Sn0wBreeze; that is a Windows alternative to the PwnageTool Jailbreak tool. iH8Sn0w is also the developer behind iFaith that can aid you in downgrading and saving SHSH blobs on the iOS 5 firmware generation. It is good to keep in mind that iH8Sn0w does not develop Jailbreak exploits, however, just the software that powers Jailbreaking tools. Description: Hacker Geohot, whos real name is George Hotz, is a very controversial Jailbreak and Unlock developer who had a hand in a fair share of drama between other Jailbreak developers. He has been responsible for a few Untethered Jailbreaks, was the first person to unlock the original iPhone and was also sued by Sony for Jailbreaking the PlayStation 3. Currently it has been rumored that GeoHot is working for Facebook and was responsible for the iPad Facebook app. Description: The hacker NotCom (Semaphore) is a software engineer and is the developer behind the popular SHSH blobs saving tool TinyUmbrella. For the longest time NotCom’s TinyUmbrella SHSH blob saving tool was the most widely used SHSH blobs saving tool. With the release of the iOS 5 firmware generation, however, TinyUmbrella has been challenged by iFaith. Thus, NotCom has been updating TinyUmbrella to be more widely compatible with the iOS 5 firmware generation. Description: Chpwn, or Grant Paul, is a developer responsible for several popular iOS Cydia tweaks and is even a contributor to the Cydia open source project. Some of Chpwn’s most popular Cydia tweaks include the Infiniapps lineup, ProSwitcher, Gridlock and so much more! Recently Chpwn has been one of the main developers behind Spire, which is a Siri port to older generation iOS Devices. You know it’s really great to have guys like these that have liberated us from those jerks at Apple. Keep up the great work, I’m sure we ( all of us that use Cydia and all the great apps, and other jailbreak helpers ) feel the same way. Thanks guys. Musclenerd real name is Eric McDonald, you can check this by going into Amazon and searching for ios hacker handbook just click look inside and search for Technician editor or something like that. I purchased an Iphone 4s for my daughter off a website called Kijiji.ca . Her birthday is in a couple of days and I waas wondering if someone can help me get this device jailbroken . Ive gone over soome of these ways an I am really confused and don’t know which one to use or how . Id like to think iam good online but apparently not . I paid $200.00 for this phone and the only people I could contact wanted $125.00 to jailbreak it .There has to be an easier way . My daughter is awesome shes 11 years old and a straight A student in grade 6 french immersion and has been sence primary . I wont be able to afford to get it unlocked by that company by the time its her birthday please help . I am in Canada (nova scotia ) carrier is telus mobility . Please email me ! Thanks for your time . Iam sorry I think that I don’t need it jailbroken just unlocked so it can work with another carrier . When I open Cydia app, I get a network error stating that the certificate for the server is invalid. How do I get passed this?